Splice Post, an independently-run creative post production facility in East London, has been using Continuum since the early versions of Avid|DS. More than 20 years later, Splice now uses the combined power of the Boris FX product line — Continuum, Sapphire, and Mocha Pro — on its varied projects. Recent work includes: feature films My Name is Lenny, England is Mine, and Carnage (a BBC iplayer commission); Sky Arts documentaries; and TV shows Masterchef (BCC 1), Call the Cleaners and Salvage Hunters for Quest (ITV), and Council House Crackdown (BBC). 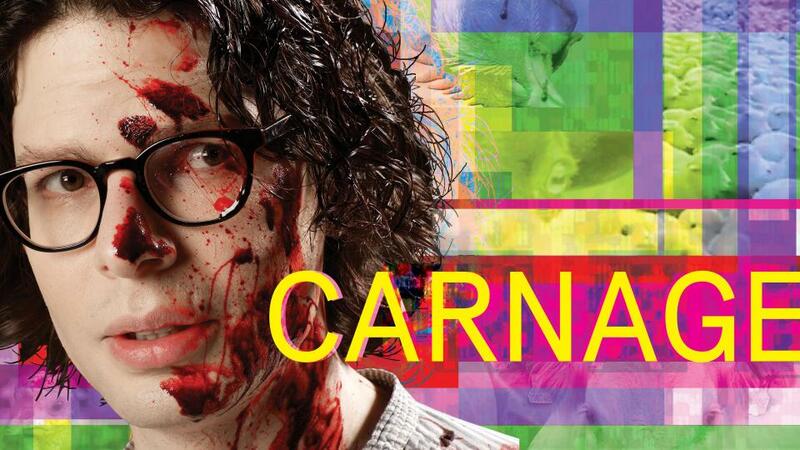 The team recently used all three flagship products on BBC’s feature film Carnage, a comedic drama set in utopian 2067 in a world where the younger generation is coming to grips with the idea that older generations ate animal products. Harris credits the addition of Mocha planar motion tracking and masking tools inside Continuum for the team’s new found creative freedom. “The operational capability of an Avid Symphony has gone to another level,” states Harris. “Things that were only really achievable using third-party systems such as a motion graphics package can now be very easily achieved to an excellent degree within the user interface.” Additionally, the new streamlined workflow offers time-savings benefits and the peace of mind that comes with staying within one host platform, rather than having to export out to another workflow. To replace the sign, the team created a hand-written slogan, tracked the original sign with Mocha Pro, generated a clean plate, and replaced it with the new sign using the Remove Module. Once complete, they exported the original track out of Mocha Pro and added Continuum’s Gaussian Blur and Match Grain to perfectly blend the new sign into the scene. Learn more about Splice Post. Download a free trial of Continuum. Download a free trial of Sapphire.